Cover photographs of Joseph Campbell © Joseph Campbell Foundation and used with permission. joseph camobell is a treasure that we should keep retiring to time and time again. Lives Up to its Title! I’ll keep this shorter than an epic but longer than a sonnet. What a delightful, smile-seeding, encouraging, well conceived and performed tribute to one of the most remarkable teachers of the 20th century! 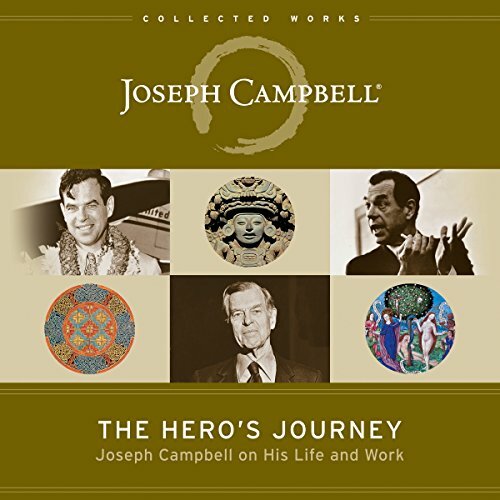 The book overflows with insight and a truth-seeker‘s sense of adventure, narrating passionately Joseph Campbell’s wide-ranging and deeply influential life and work. The interweaving of Campbell’s biography with the threads of influence and fruits of labor that Were brought forth in those corresponding years could not have been better done. You’ll find yourself amazed, amused, humbled, and deeply inspired to pick up your favorite book, put on your favorite boots, and bring some stories to the light of day and the blaze of the campfire. Have a great listen, Friend! Narrator has a repetitive, mechanistic cadence with predictable inflections at inconsequential moments. One star. Couldn’t get through 3 chapters. :-( If you can get past that maybe worth your while? Idk.